I’m a day late, but it’s alright the news is still here. So there’s a lot of Movie and TV based comic news this week, but first let’s talk about some of the straight up comic book stuff happening. Savage Hulk is happening – The solicits for this summer show a new Hulk book hitting the stands, and much like the similarly titled Savage Wolverine, this book will be non-canon arcs by various creators. Savage Wolverine has been pretty hit or miss, and I feel like a good Hulk story is even harder to get right so I personally don’t have high hopes for this book. 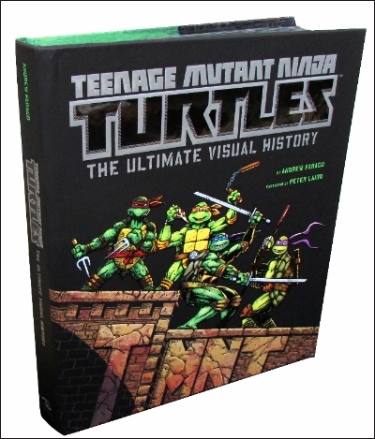 Teenage Mutant Ninja Turtle Visual History Book -This June in honor of the 30th anniversary, Insight Editions will be releasing Teenage Mutant Ninja Turtles: The Ultimate Visual History, written by Andrew Farago. The book will include interviews with the creators of the Turtles, Peter Laird and Kevin Eastman, as well as a slew of others like Brian Henson and Vanilla Ice. If you’re a TMNT fan this will be a must have. It’s being priced at $50 which isn’t to bad. The Woods #1 gets a second printing – The new book by James Tynion IV (Batman Eternal, Talon) over at Boom! has been picked up for a second printing. If you missed it the first time around, definitely check it out when the second printing hits stands. Agent Carter airing between the Fall and Spring runs of Agents of S.H.I.E.L.D. – ABC revealed their fall lineup and a bunch of Promo’s for new series. Unfortunately Agent Carter wasn’t one of them. We did however find out that the series will have a shortened season, probably 13 episodes, and air in the winter during the S.H.I.L.D. hiatus. This seems like a great move, that hopefully ABC sticks to (last time they announced this format was Once Upon A Time In Wonderland). This could also help out with the number of repeats the S.H.I.E.L.D. suffered from this season. Fox’s upcoming Batman related series Gotham gets it’s first trailer and episode number – We’ve seen a couple different trailers for Gotham, and while it’s not exactly what I hoped it would be, the series could still end up being good. We’ll just have to wait till the fall to find out. And at least Fox really seems to be backing it as they’ve already ordered an extra 3 episodes than normal, bringing the current season count to 16. It’ll be paired with Sleepy Hollow as well, which is getting an 18 episode second season, so that could help out the ratings as well. Channing Tatum is playing Gambit in X-Men: Apocalypse – I posted about this on our Facebook page, but I’m going to repeat it here. Channing Tatum gets a lot of hate, but the guy is actually pretty funny. Go watch 21 Jump Street or his hilarious cameo in This Is The End. He’s also able to pull of action, so the only concern I’m going to have is whether he can pull of the Cajun accent and the general swagger Gambit brings to everything. Oh, yeah Ben Afflect in Batman suit and the new Batmobile have been revealed! 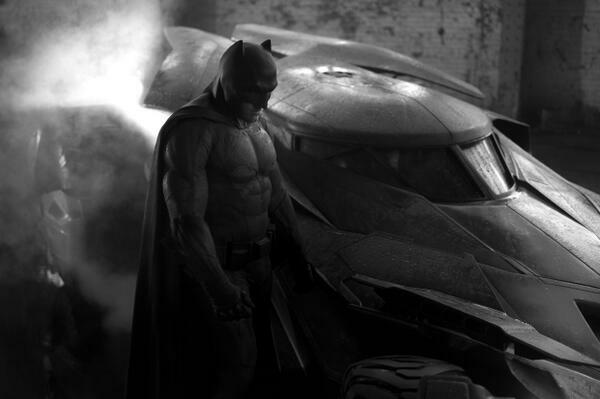 – Yeah, so Zack Snyder revealed a pictures of the new Batman and his Batmobile this morning. And IT WAS FREAKING SWEET! The Batmobile has a very classic feel to it, while still looking sleek and hell. The Batsuit on the other hand is almost 100% the Dark Knight Returns suit which increases my interest in this movie a lot! With 2 years still left till release we’re bound to get plenty more shots of our new Dark Knight, but this one is the first. All-New X-Men #27 – All-New X-Men has been the best of the X-books since Marvel Now relaunched everything. Now with the team back on earth and sans a young Cyclops things should start picking back up even more and being all kinds of interesting. Grimm Fairy Tales Presents Robyn Hood Legend #3 – I’m a month behind, but regardless the Zenescope Robyn Hood titles have been an absolute thrill to read. Series writer Pat Shand delivers all kinds of fun and excitement while still weaving in some great emotion.